It’s well known that it is getting harder and harder to advertise your products and services to people. It’s hard enough for a clothing store, let alone a paintball centre. Paintball suffers a bad reputation, due to paintball fields that have little regard to customer service and safety. Delta Force Paintball has brought the paintball experience to a new level. Revolutionary safety procedures, alongside awe-inspiring game zones and impeccable customer service are all crucial to the success of our business. Paintball has long been victim of the stereotype that the fields are old and filled with junk cars and tyres. It was a sport for young men, and only young men would be game to play on these fields. 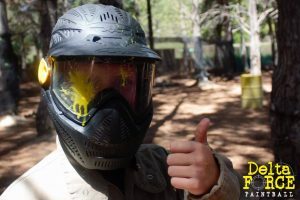 Delta Force Paintball was born out of the idea that paintball could be more than that. Paintball could be a full day experience, safe for all ages. It could be a fun sport that would combine strategic thinking with team work and physical activity. (IPG), which has seen our business increase exponentially over the years. International Paintball Group helped to introduce our business to a customer base that was previously unaware of our brand. As a result of an interaction with IPG, people have come to our brand, and become loyal customers. When you say paintball, they’ll say Delta Force. These are the kinds of customers you want advocating for your business, and it’s all down to IPG. 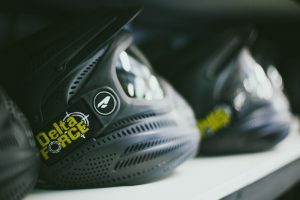 Becoming a partner with a global business has helped Delta Force as a multinational company to further expand our reach, without needing to spend thousands on advertising. The IPG reps are walking the streets, they’re at the shopping centres and they’re interacting with the community, all in the name of paintball. The International Paintball Group is a business like no other. They’re encouraging their staff to work and travel, and treat their staff with the highest level of respect. Their dedication to providing a high quality product to their customers is rare, and their customer service is unlike any others in the industry. Delta Force Paintball will continue to work alongside International Paintball Group, to bring this amazing experience to people across the globe. IPG can make a difference. If you’re interested, click here.